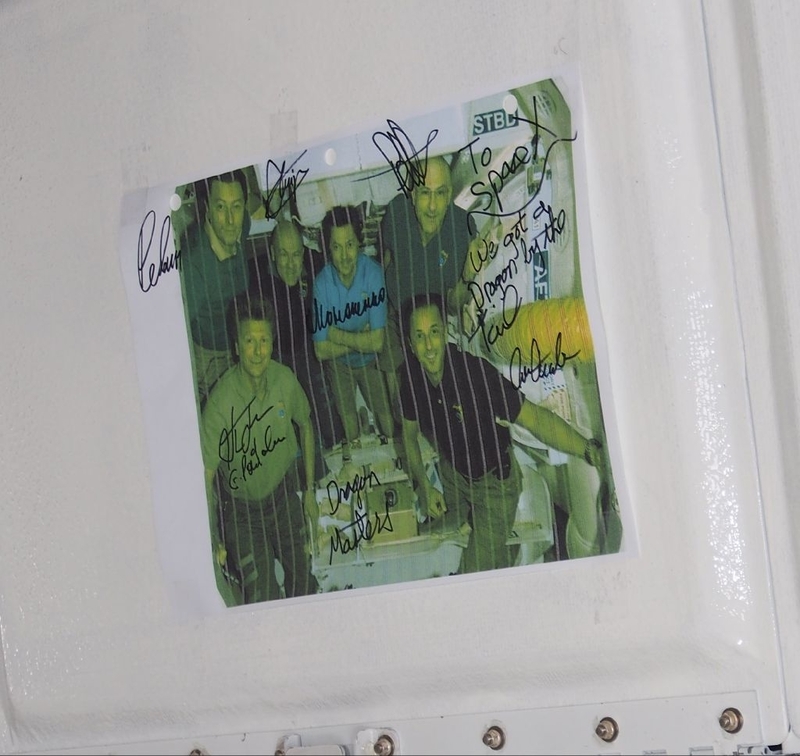 On the afternoon of June 7, NASA’s Johnson Space Center tweeted the following image with the message “Looks like the astronauts left a little surprise inside Dragon after it left the station.” The greeting was presumably left inside the empty Dragon capsule before it left the International Space Station for its return to Earth on May 31. ISS crew had been eagerly anticipating Dragon’s visit, as the vessel heralded a new era of commercial space transport. The capsule made landfall in Los Angeles on June 5 after splashing down off the coast of Mexico. I wish the Dragon had splashed down on 6/1, it would have made my birthday even better. But, it actually happened the day before. Click your own ‘June 1’ link, and look at the video, it clearly says 5/31. You are quite right, thank you for the catch. And happy birthday! Will Dragon Make it to the Launch on May 19? Can the Shenzhou Dock to the ISS?